100%Cotton(percale). 155x220cm + 1 pillow 80x80cm. 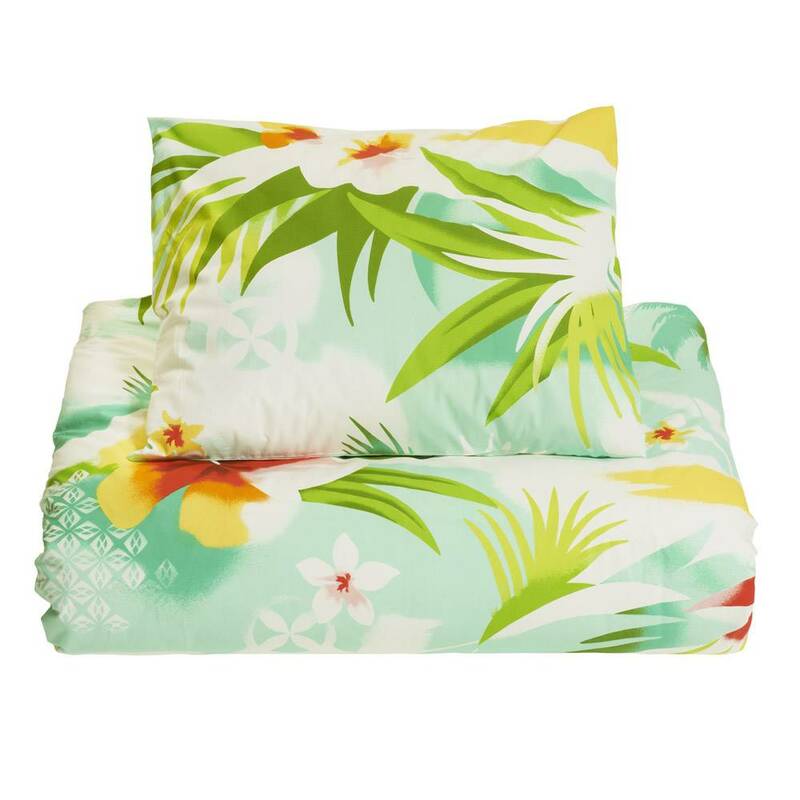 Percale cotton duvet cover. 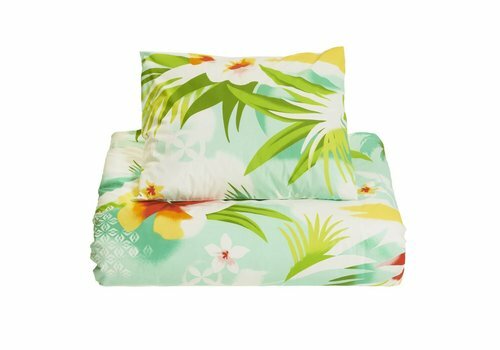 Submerge in a bed of tropical flowers when the mood takes you, or flip it over for a muted aqua toucan print. Washing 60 degrees max. 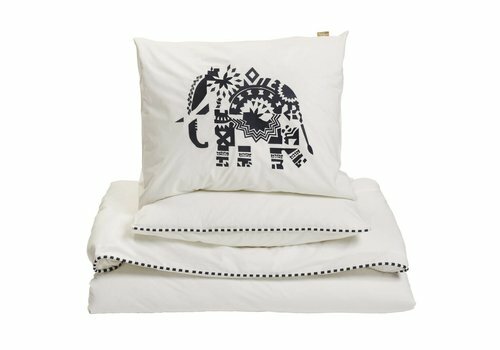 100%Cotton(percale). 155x220cm + 1 pillow 80x80cm. Percale cotton duvet cover. 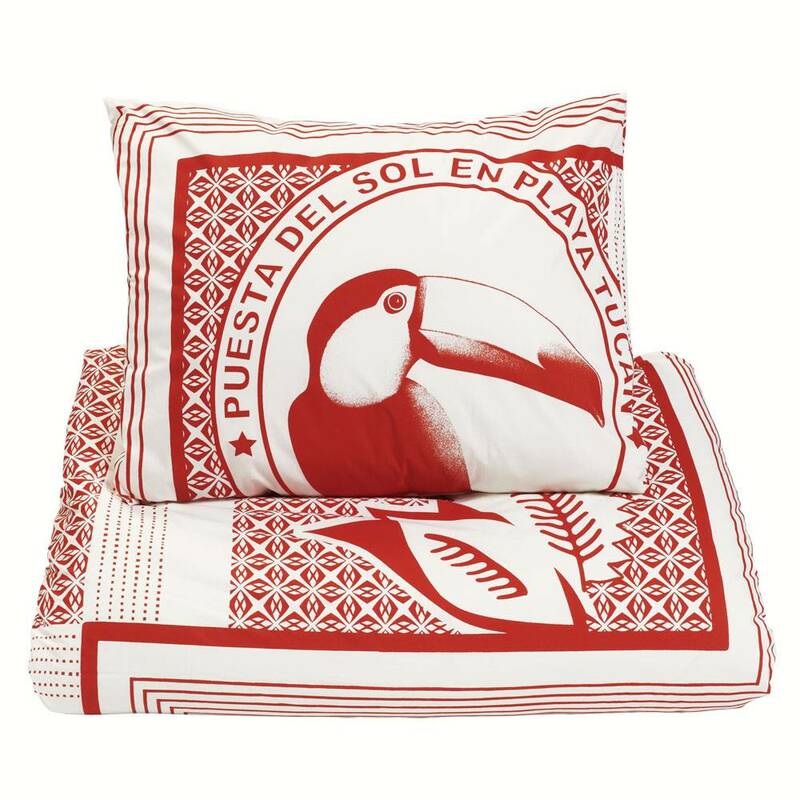 Dream of faraway places under a pattern of toucans and tropical plants printed in warm coral red and sea-stone white. Washing 60 degrees max. 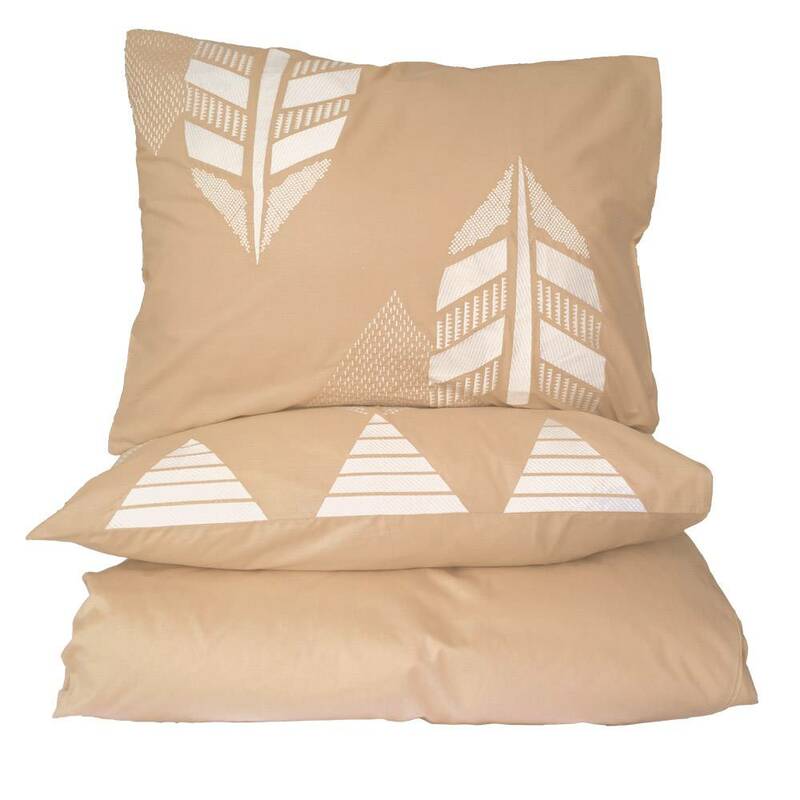 100%Cotton(percale). 155x220cm + 1 pillow 80x80cm. Percale cotton duvet cover. A big toucan layered over denim pattern in a muted blue ton-sur-ton color combination for a deep indigo mood. Washing 60 degrees max. 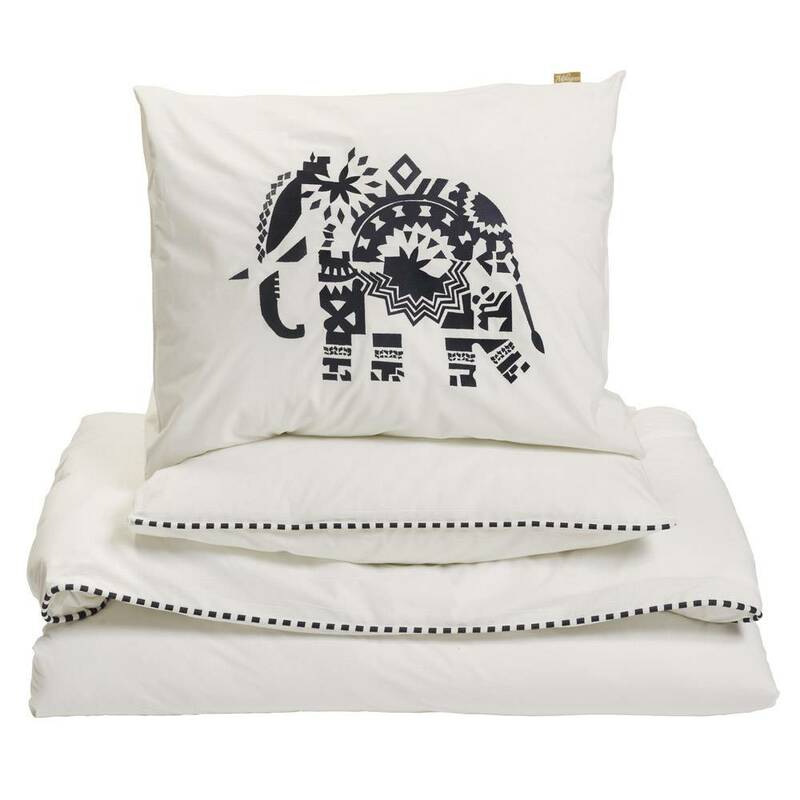 100%Cotton(percale). 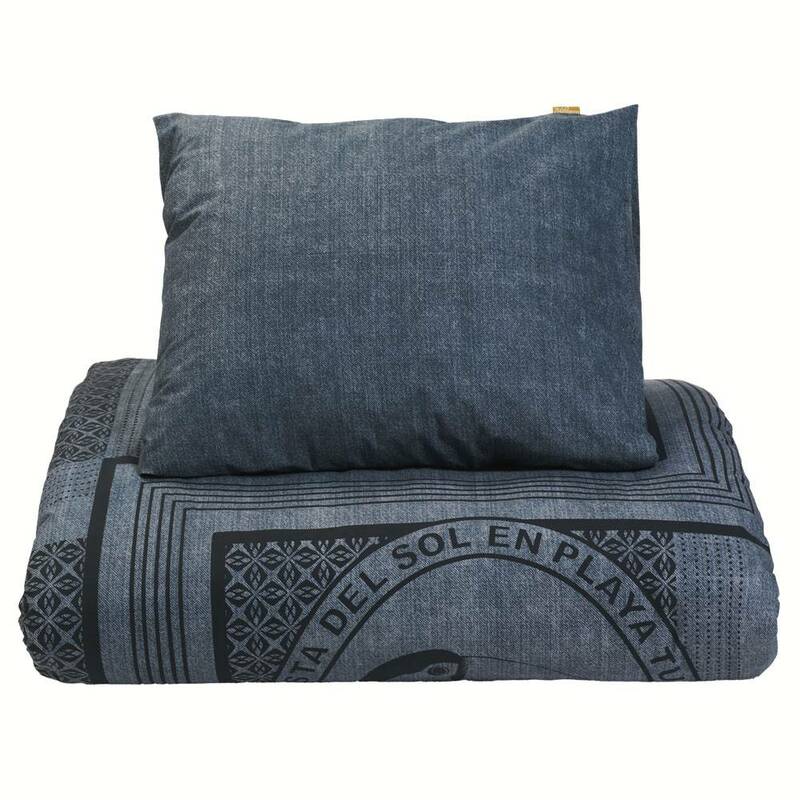 155x220cm + 1 pillow 80x80cm. A mellow and harmonious duvet cover in muted stone white. The elephants Sarah and Bill come together on the two pillows, while playfully embroidered block prints. Washing 60 degrees max. 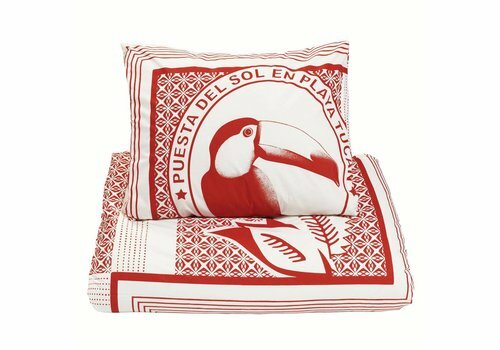 100%Cotton(percale). Size 220x240cm. 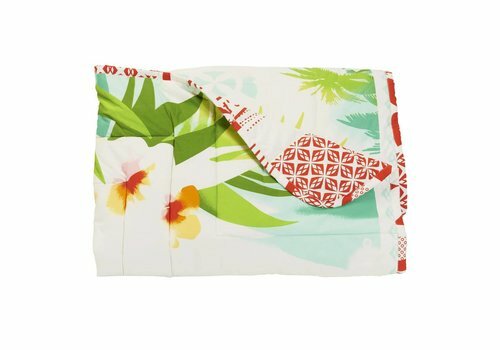 This reversible quilt with huge Pacific flower is at home in any place in or around your house. Perfect for quietly lounging away late summer evenings. Washing 60 degrees max. 100%Cotton(percale). 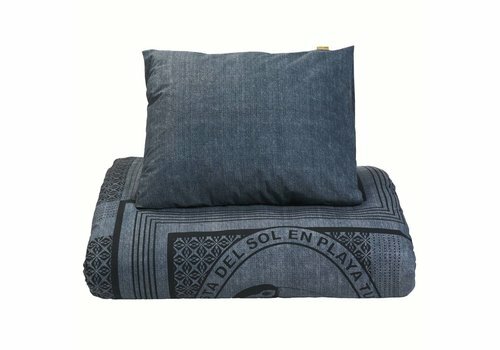 155x220cm + 1 pillow 80x80cm. 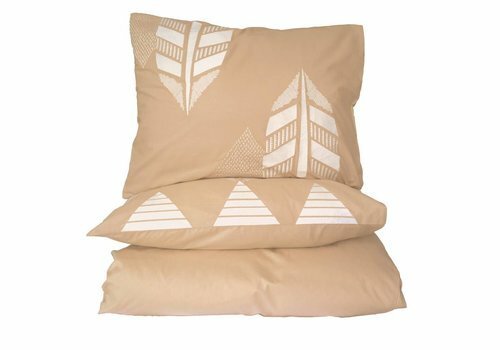 Dream away underneath this beige duvet cover made of a fine quality percale cotton (200 thread count). 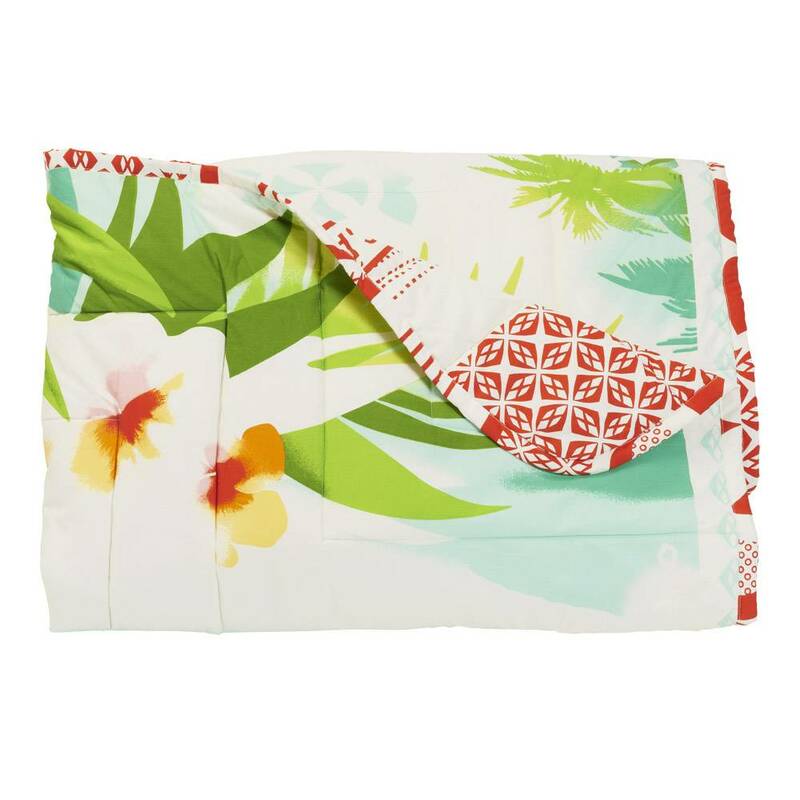 Included with two pillow cases, playful decorated. Washing 60 degrees max.